Last wk saw so many really beautiful shelfies, it gets harder and harder to choose. I really love it when Sunday comes around and everyone gets snapping around their lovely homes and joining in with the fun. 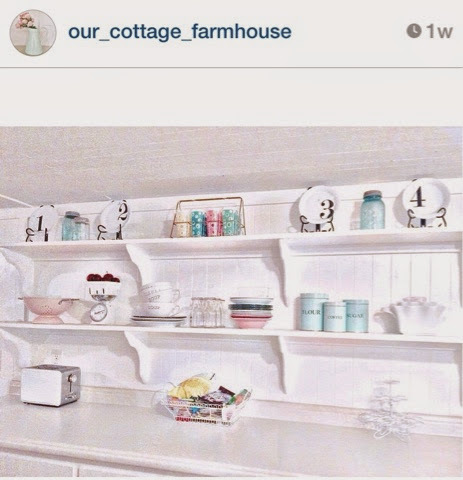 Our_cottage_farmhouse. We both just loved the gentle contrast of the carefully placed pastel objects against the painted white of the panels. So simple and so pretty. By kelleydigioia, julielopes10, afancifultwist and crochet_handmaid_rainbow. 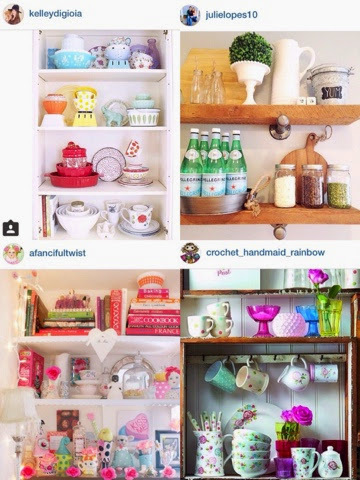 Please go and look up these lovelies on IG, and don't forget to share your shelfies!